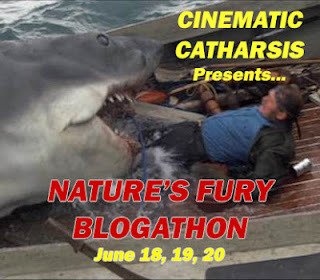 This is my entry in the Nature's Fury Blogathon sponsored by Cinematic Catharsis. Scream bug-eyed as he looks in on them. As he wades through the buildings towards the center of town. Oh, no! There's goes Tokyo! How nature points up the folly of men. Author's Note: Any misspelling of Japanese names in this piece is entirely my fault. How many Godzilla movies have been made? About 10 billion at last count... Ok, so that's overstating it. 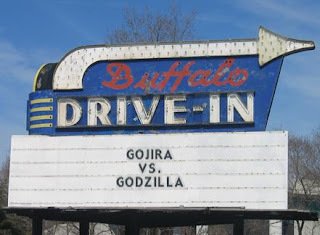 But what with the original Gojira (and it's Americanized version of Godzilla), the two or three reboots, plus the numerous Godzilla vs.... ie: Godzilla vs. MechaGodzilla, Godzilla vs. King Kong, Godzilla vs. Mothra, Godzilla vs. the Smog Monster, Godzilla vs. the Mexican Mafia... (OK I made that last one up) the number is around 30. That puts Godzilla probably second to only Sherlock Holmes in sheer numbers of appearances on film. 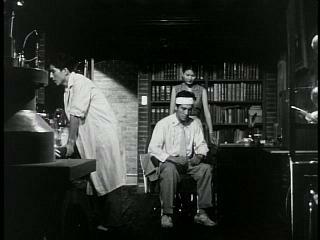 The original movie was inspired by the memories of Hiroshima and Nagasaki, as well as the then current nuclear bomb testings that were being performed. When the United States detonated the Bikini island bomb, a Japanese fishing trawler was. by various reports, either fishing inside the danger zone, or too close to the danger zone. The original movie paralleled that event early on. If you are interested in an account of the history of that event you can go here. 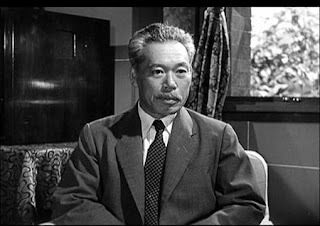 The original Japanese film, titled Gojira, was a composite of two Japanese words; gorira (gorilla) and kujira (whale). In point of fact, the name was coined before the design on the monster. At one point there was a consideration to have either a large ape-like creature, a la King Kong, or a very large whale like creature. Eventually the dinosaur design we've all come to know and love was the accepted design. 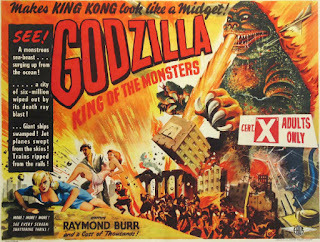 Unlike the stop-motion graphics used to create King Kong, Godzilla was actually a man in a dinosaur suit. The monster was played alternately throughout the movie (and the early series of movies) by Haruo Nakajimi or Katsumi Tezuka. 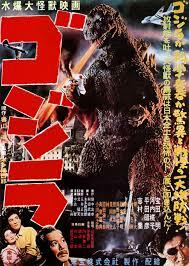 Gojira, a kaiju (monster) film, directed by Ishiro Honda, roared onto the screen in 1954. The original, made in Japan for about 62 million yen (about $175,000) was a huge hit in Japan. 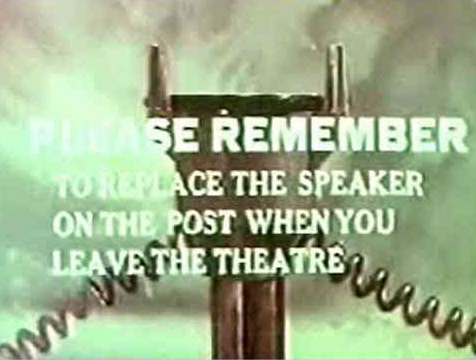 The film begins rather sedately. A fishing boat is calmly resting in the waters. There is a loud explosion and and bright light and the ship disappears. A rescue ship is sent out and it too disappears. The families of the sailors on the two ships are in a panic. The government assures that everything is being done that can be done to rescue any survivors. Meanwhile another ship goes down. One survivor is found who claims a monster did the deed. Dr. Yemane (Takashi Shimura) goes to investigate. Dr Yemane is a paleontologist, and is convinced he knows what the creature is, a left over remnant of a long extinct dinosaur. It turns out that there have long been rumors and superstitions about and existing monster-god of the sea the locals refer to as Gojira. They used to sacrifice virgins to it long ago. These same superstious natives thing the god has returned because it is angry. During the night a typhoon hits the island, but in the morning there is evidence that more than just a run-of-the-mill typhoon hit the island. There are giant footprints! And the footprints are radioactive! And a dead trilobyte is found in one of the footprints. 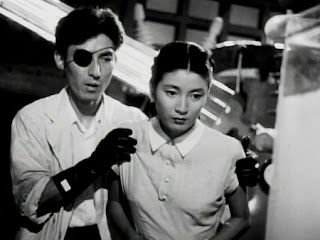 The sub plot of the movie involves Dr, Yemane's daughter Emiko (Momoko Kochi), who is in love with Hideto Ogata ( Akira Takarada). But she is engaged to marry her father's colleague Daisuke Serizawa (Akihiko Hirata). Serizawa is a recluse, preferring to work in private. She goes to him to break off the engagement, but while she is with him, he shows her what he is working on and it totally shocks her. He makes her promise to keep his secret. Meanwhile Godzilla has come ashore and is wreaking havoc across the country on it's way to Tokyo. The army tries to kill it, but their weapons only serve to annoy it. Godzilla has a really bad case of bad breath, too. (A blast of nuclear furnace style breath it exhales from its mouth). Dr. Yemane implores with the authorities not to actually kill it, because he, as a scientist wants to study it. But his is the only voice calling for this compassionate course; everybody else wants Godzilla dead. Emiko finally tells Ogata what Serizawa showed her. It is something called an oxygen destroyer, which, when detonated, will evaporate all the oxygen in the vicinity of the explosion and kill all oxygen breathing organisms in its wake. Ogata and Emiko go back to Serizawa to try to convince him to use this weapon to destroy Godzilla. Besides the ongoing action, there is also a subtle political statement in which the Diet, the ruling government in Japan, calls for a ceasing of nuclear testing because it is thought that this was the instigation of the revival of Godzilla from his sleep. Of course, as I stated in the beginning of this entry, the whole movie is a metaphor for nuclear weapons and the dangers therein. While Godzilla is essentially an Americanized version of the Japanese movie, there are several changes, none of which endears me to the American version after having seen the original Japanese version. For the first thing, the American movie begins in the aftermath of Godzilla's wake, having already caused much of the destruction the original didn't show until midway through the movie. We are then treated to a recap of the events in the form of a narrative as told by Steve Martin (Raymond Burr), rehashing what has happened up to that point in the form of a flashback. The suspense we had watching the original is no longer there, and effectively, the appearance of Godzilla in the American version is almost like an after-thought. The second, and this is the most annoying part of the movie, is that Steve apparently is fluent in Japanese, but only at convenient times. At others he has to have what is being said translated for him by his companion, Tomo Iwanaga (Frank Iwanaga). 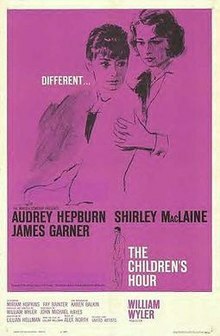 Additionally, at various times, the original movie's characters lines are dubbed in English, giving you the feeling that the director made a last minute decision to make it easier on his American audiences, while at other times he wanted to keep the audience confused. Any time that characters in the original interact directly with Steve, these are played by look-alike doubles and filmed from the side and behind to keep the audiences from realizing it is not the same actor or actress. This, of course, was probably prudent, rather than trying to fly the original actors to the locations to interact with Burr directly. But it is still distracting. 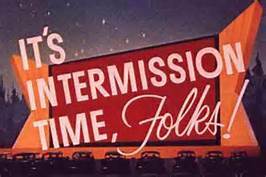 An additional note: The scenes involving the debate in the Diet were eliminated completely. It was thought that veterans from WWII might not appreciate hearing Japanese government figures disparage the United States' use of nuclear bomb testings. Understand, there is nothing inherently wrong with the concept, nor is the movie itself sub-par as a result of the fiddling, but I wholly recommend you watch the original version. It is far superior. Nice comparision piece, Quiggy! I agree that the Japanese original is superior, although the American version isn't all bad. 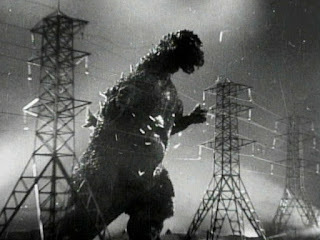 No sequel or remake has been able to match Gojira's somber tone or social commentary, however. Thanks for your contribution to the Nature's Fury Blogathon! Thanks, Barry. Have to admit it took a long time for me to get around to the original. 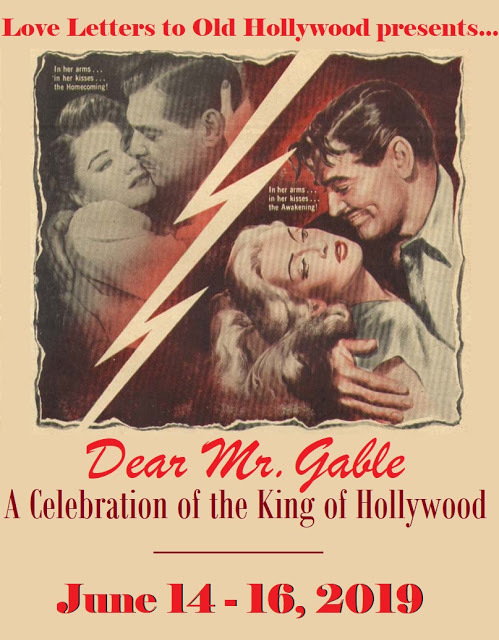 But I was visiting my father a couple of years ago and it came on TCM and I was entranced. 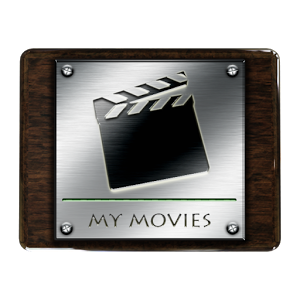 These are both great films, have not seen either of them in a long, long time; you have captured their essence and inspired me to see again. Glad to see you are back, Chris. I get a little worried when you don't show up for a couple of entries. Thanks for the encouragement. A terrific double feature! 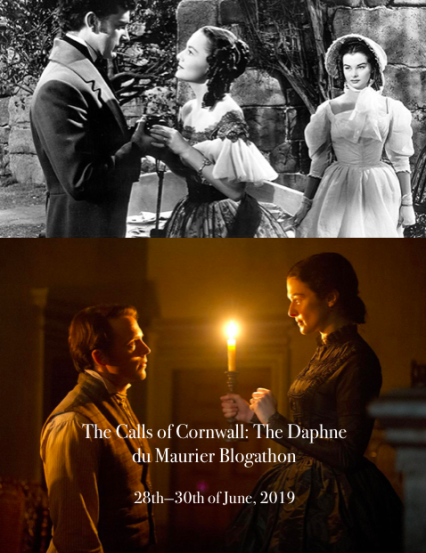 I saw the 1956 version many years ago, late at night, and was less than enthused about it. However, after reading your review, I'm going to give it another go.